Only World Group Berhad Initial Public Offering (IPO) received an overwhelming response with its public portion of 9.25 million shares. It was oversubscribed by 6.91 times. The IPO attract 3,307 applications or 73.17 million shares. Notices of Allotment will be dispatched by post to all successful applicants on or before 16th December 2014. 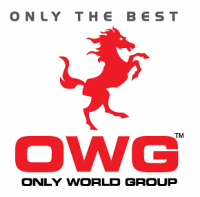 Only World Group is expected to be listed on the Main Market of Bursa Malaysia on 18th December 2014 under stock name “OWG”. Kronologi Asia Bhd, an enterprise data management specialist, is scheduled to be listed in ACE Market of Bursa Malaysia on 15th December 2014. The Initial Public Offering (IPO) consists of 59.2 million new ordinary shares at an IPO price of RM0.29 per share at RM0.10 par value. 47.4 million will be for private placement for selected investors, 4.74 million shares to the Malaysian public and remaining 7.1 million shares for eligible directors, employees and person who contributed to the success of the company.